Recently, Netflix added support for video download and offline viewing. However, the device’s internal storage was the only option to download files. 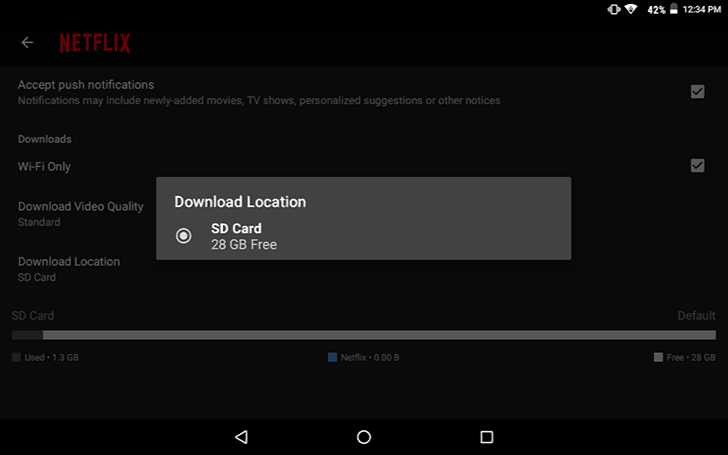 Finally, with the latest Netflix update 4.13 for Android, you can download content to an external SD card. To change Netflix offline content storage option, go to ‘App Settings’ at the bottom of the hamburger menu, then tap ‘Download Location.’ At least on my tablet, SD card was set as the new default location. The Netflix update 4.13 is gradually rolling out to everyone. Download the app from the Play Store or from the link below.